One of my favourite internet-television-shows is TechSnap on jupiterbroadcasting.com. On TechSnap 66 there was an interesting user feedback of Felim about installing pfSense on a little ALIX 2D13 box. 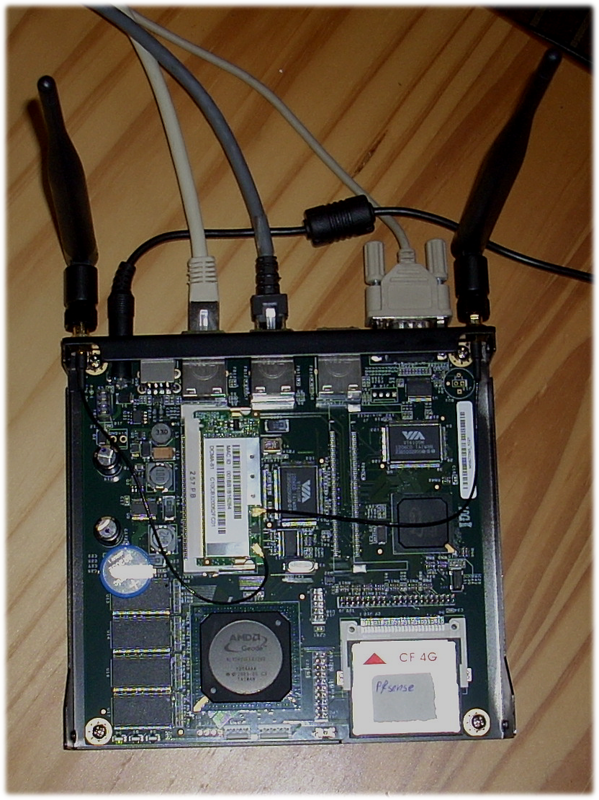 So, I’ve ordered an ALIX 2D13 at Gooze with a ALIX wireless kit and installed pfSense on it.